Does Ductless System Improve Your Indoor Air Quality? Those exceedingly long days when you deal with the wrath of heat and often end up being exhausted are back again. The summer season can unnerve many people to the point that they resort to confining themselves indoors. Even if that is the case, the relief may not be as expected since Indian summers can be extremely grueling. People can hardly get any kind of cooling from the average fans or coolers. This is precisely the reason as to why we see people are rushing to buy air conditioners from the best split air conditioner manufacturer in India. It is true and obvious that most of us would first see whether we can buy less power consumption air conditioner at low prices. Cooling is definitely the priority but we must also focus on buying air conditioners that improve the air quality whilst we spend maximum time in our hall or bedroom. 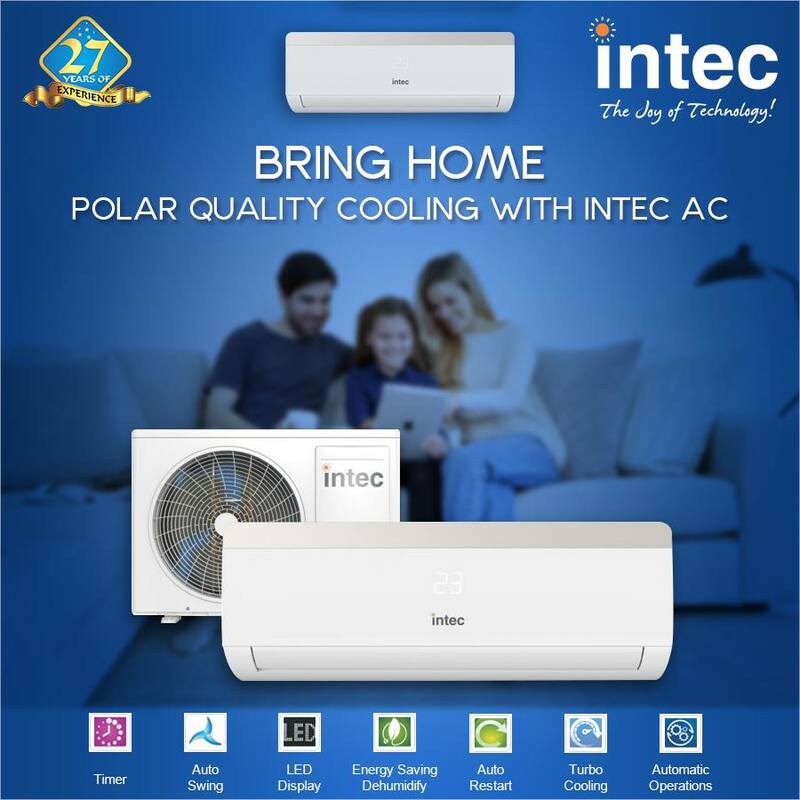 Therefore, the leading brands like intec appliances have been focussing on the ductless system in the conventional HVAC system. As opposed to the air conditioners in the past that had the annoying drawback of picking up of the motor and being unable to filter the air by blocking the dust particles in the central unit, the ductless system improves air quality. As the name implies, the ductless systems are total cooling system minus the duct network. Due to this virtue of not releasing air from the ducts, these ductless system AC’s indoor air handles is fixed directly on the wall of your living space and blows air directly to your rooms. The ductless system uses a relatively less power consuming mechanism that is both easy on the electricity and maintenance bills. It has now become crystal clear that most of the leading air conditioner manufacturer companies in India are leaning on producing a ductless system of air conditioner as they can prolong the durability of the operating mechanics as well as provide clean and fresh air indoors. In a country like India where people battle with the health hazards of air pollution, it is more than a necessity to have a cooling system that warrants some relief on health grounds. A ductless system in the air conditioners eliminates the chances of leaking duct that can pollute the air supplied indoors and may also create other biohazards in your vicinity. On installation and maintenance front, the ductless air conditioners are less fussy and can provide respiratory benefits to children who tend to spend more time in a room with air-conditioned comfort. Hence it’s time you picked your favorite from the top air conditioner brands in India. In a largely competitive and consumerist market like India, people are spoilt for choices to buy the electronic appliance of their choice. 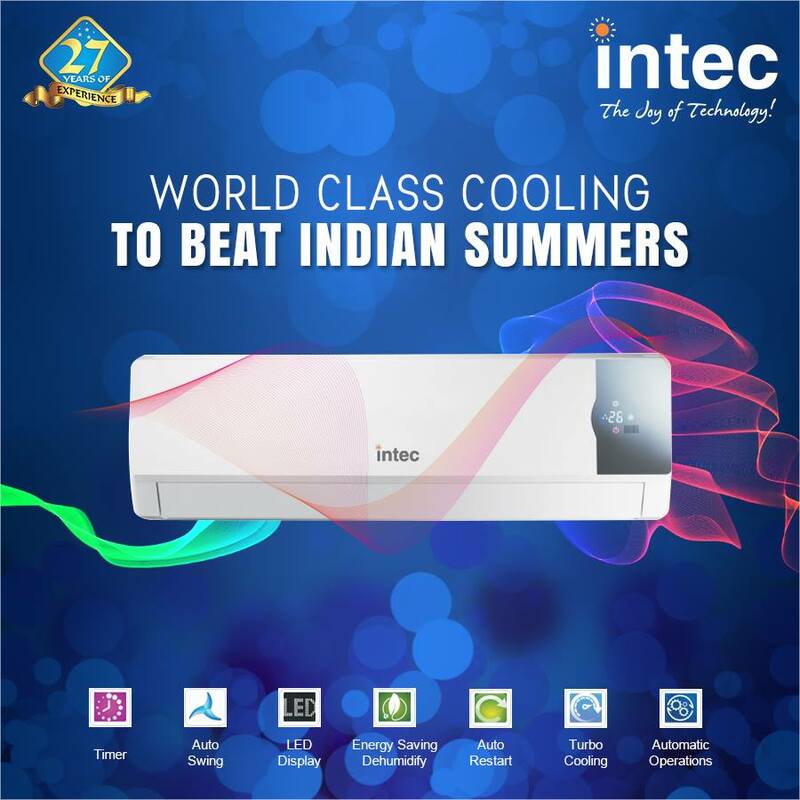 Despite such stiff competition, intec home appliances have carved a niche for themselves by presenting less power consumption air conditioner with superlative performance. From starting off in the northern region of the country, Intec has now spread the “joy of technology” to other parts of the country as well.